This is to inform the general public and interested applicants that Ekiti State University has announced sales of her 2nd round or supplementary admission form into her degree programmes for all courses (including newly started Medicine and Surgery). 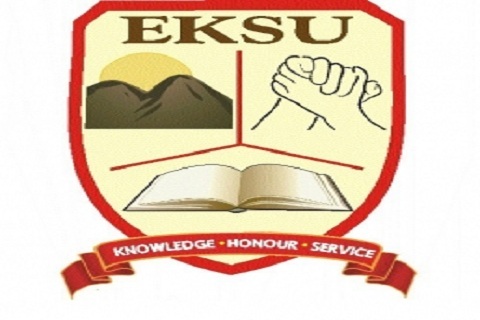 According to the management, this is a "Grace Period for EKSU aspirants that missed the 2018/2019 Post UTME Application Click Here to Apply (CLOSING DATE: 2019-03-31)"
Below are the details to take into consideration before applying. Direct Entry (DE) applicants mush be holder of Bsc, HN, NCE, ND, IJMB, JUPEB or their equivalence and must have chose the university as their first choice institution in during their DE registration or ready to change to the school immediately. Candidates who had taken part in the first round Post UTME/DE are not eligible to apply for this. Candidates who had attempted any other school post UTME or screening but denied admission can take advantage of this too. Such applicant must be ready to do change of institution and consider the university as the first choice to broaden the admission chance. You will need details of your SSCE results to complete the registration. Applicants should be ready for CBT entrance exams to be conducted on the university's campus.